Buying behavior is a process that is conditioned by a complex receptive system, originating with the product's physical impulses (its function, size, packaging, and brand), its location, and its price. The interaction of these factors culminates in the customer's final choice. In other words, industry and distribution together set a communication process in motion with the customer, and the store becomes the channel through which this interaction occurs. The book addresses this topic with a managerial mark. The takeoff point is a redefinition of the role the store plays in communicating and enhancing the identity of the brand and the store itself. 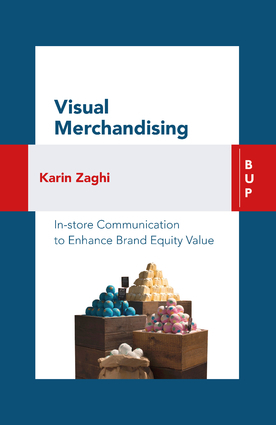 From there, the author moves on to consider visual merchandising as a managerial tool to use for establishing a dialogue with the customer. This analysis of visual merchandising is aimed at understanding what works in the complex task of balancing conflicting needs. On one hand, the company wants to maximize profits and productivity, expand the sales areas that customers visit, rationalize replenishment, curtail shoplifting, support sales staff, and enhance their offerings. On the other hand, customers want to simplify the purchase process and save time, while still gathering information, seeking out stimuli, and getting psychological gratification from the free and active control over their own choices. Karin Zaghi is a Professor of Marketing and Sales at SDA Bocconi School of Management where since 2017 she has been in charge of the Channel & Retail Category. She is Professor of Marketing at Bocconi University.